Why Is Grass Fed Better For Us? Smoked leg of lamb, similar to ham, is a roast ideal for holidays, special occasions and whenever you want to have an impressive, elegant or casual meal. Our center-cut leg of lamb is smoked, brined and uncured. Common in colonial times lamb ham is sure to be a favorite. The rump and shank have been removed for easier serving resulting in a higher meat to bone ratio. No Nitrates or Nitrites added except for those naturally occuring in sea salt, celery and cherry powder. Not preserved. Keep refrigerated below 40 degrees F at all times. Make you own? 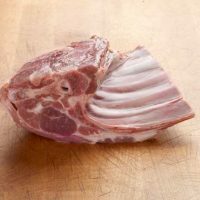 See Chef Alan Bergo’s Lamb ham recipe. 100% grass fed leg of lamb. Weight range: 4.0- 5.0 lb. 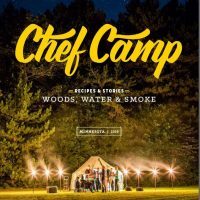 INGREDIENTS: LAMB LEG, WATER, SEA SALT, SODIUM PHOSPHATE, BROWN SUGAR, HONEY FLAVORED POWDER, MAPLE SYRUP (100% MAPLE SYRUP) CELERY POWDER (CELERY POWDER, SEA SALT), CHERRY POWDER (CHERRY POWDER, CANE SUGAR). NEXT SHIP DATE IS April 22 and 23 FOR DELIVERY ON April 24 and 25. If you have different requirements let us know. We will try to accommodate. NEXT SHIP DATE IS APRIL 22 TO 23 FOR DELIVERY ON APRIL 24 to 25, 2019. If you have different requirements let us know. We will try to accommodate. We normally ship on Tuesday and Wednesday by FedEx 2Day for delivery on Thursday or Friday at a low $24.95 flat rate or FREE for orders over $250.00. During holidays we also ship on Mondays. Although we attempt to ship your order as soon as possible there may be a delay especially during the fall and holidays. Please let us know if you have a specific delivery date requirement and we will do our best to accommodate. If this requires overnight shipping there will be an additional shipping and packaging charge. 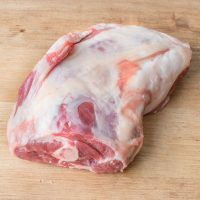 Our lamb & goat meat is USDA inspected, vacuum sealed for freshness and then frozen. We hand pick and pack each order to ensure your products are received in optimal condition. Each package includes a re-usable insulated cooler, insulating liner and subzero gel pack to maintain the appropriate temperature for your products. Visit the Shipping Information tab for more details on shipping and how to store and thaw our products when they arrive at your home. Questions about your order? Please contact us at buygrassfed@gmail.com or 715-265-7637. 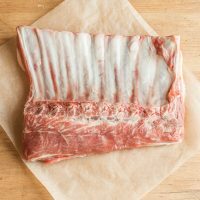 Our Lamb & Goat meat is USDA inspected, vacuum sealed for freshness then frozen, and shipped in insulated, reusable coolers with gel packs or dry ice. The shipping cost includes reusable, insulated container and coolants. We will ship your order on Tuesday or occasionally on Wednesday to ensure delivery before the weekend. We use FedEx Second Day or FedEx Home delivery depending upon your location. Overnight delivery can be provided by request. Contact us for an estimate of the additional cost. Be aware it is usually not possible to ship your order the same day it is received. If you need priority service please call us and confirm. You will receive FedEx tracking information and delivery updates directly from FedEx so be certain your email address and phone number is correctly entered. Some or all of FedEx shipping alerts may be directed to Outlook’s “clutter” or Gmails “promotional” box so check these locations if no information is received. Your order delivery is also facilitated by Periship specialists in shipping perishable products. If there is a delay or delivery issue a Periship representative will contact you by phone. We will also be contacted and will follow up. If you have questions on your order or missing an item please contact us by the next business day or as soon as possible at buygrassfed@gmail.com or phone us at (715) 265-7637. We offer Flat rate shipping of $24.95 to the continental U.S. Free shipping is offered for continental U.S. orders over $250.00. The shipping cost includes the cost of reusable insulated container and coolants. We also provide free local delivery to some Minneapolis and St Paul, MN metro locations. Contact us for more information. We do not have a farm store so we do not sell direct from our farm due to Wisconsin State regulation requirements. A surcharge may apply for non-continental customers located in remote areas. You will not be charged the additional fee until a representative calls to discuss your order with you. We will contact you if your order will be delayed due to inventory levels. Substitution of a higher valued item, a rescheduled delivery date or refund will be offered. If your order will be delayed due to weather conditions we will contact you by email or phone and reschedule. We do not ship during extended excessive heat days or winter storms. Your product is vacuum sealed and frozen to preserve quality and to provide a wholesome product. Depending on the season and the amount ordered your products may arrive frozen or slightly thawed. As long as the meat is cool to the touch you may cook or refreeze with confidence. Refrigerate or freeze your order upon arrival. Refrigerated vacuum sealed meat products will hold for 1 week if properly refrigerated at 34 degrees F or lower. 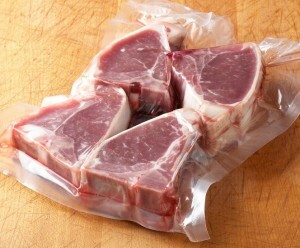 Once the vacuum seal is opened use the product within two to three days. If you will freeze your product, set your freezer as cold as possible–preferably under zero degrees F for the best results. Up to six months is the standard storage time for frozen meats. For best results thaw in the sealed packaging overnight in your refrigerator. Leaving the meat in the original packaging during thawing preserves the flavor and natural juices. The meat can also be thawed in the original packaging in cold water. Keep the water cold by changing every 30 minutes until the meat is thawed. We do not recommend using a microwave to defrost meat. Contact us by phone (715) 265-7637, use the contact page or email us direct at buygrassfed@gmail.com . We are always happy to discuss questions with our customers. 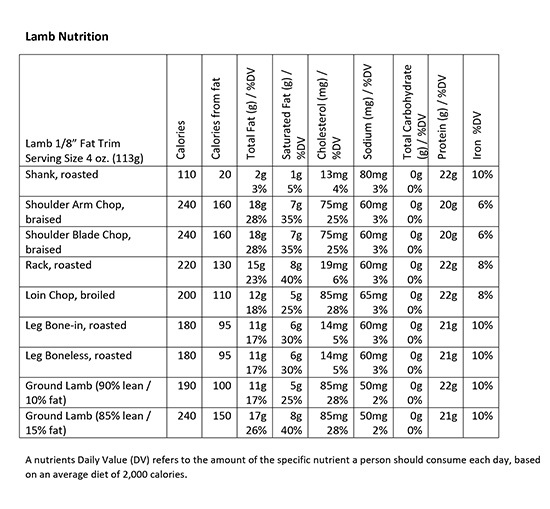 After you purchase Shepherd Song Farm's goat and lamb cuts, the next step is preparation. Browse our index of recipes and find easy or difficult recipes, along with information on dinners, events, and culturally diverse foods and cooking methods. Subscribe to our newsletter to stay updated on our latest recipes and discounts! ©2019 Shepherd Song Farm LLC. All rights reserved. Website Design by Satellite Six.